Looking for a Carpet Cleaner in Milton Keynes & South Northamptonshire? Cleaning Doctor is your Milton Keynes & South Northamptonshire carpet cleaning expert. 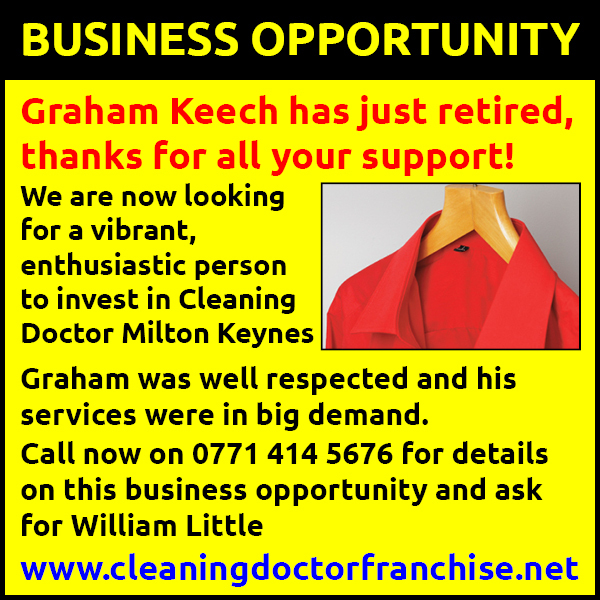 Cleaning Doctor Graham Keech is your Local & Trusted carpet cleaning, curtain cleaning and upholstery cleaning and restoration specialist covering Milton Keynes & South Northamptonshire. I’m expertly trained and cleaning carpets throughout Milton Keynes & South Northamptonshire, I provide a fully guaranteed professional cleaning service that includes cleaning carpets throughout your home, treating carpet stains, rug cleaning and curtain cleaning in situ as well as cleaning your sofa & upholstery. I also provide Commercial Carpet Cleaning Services to Hotels, Nursing Homes, Offices and Business Premises in Milton Keynes & South Northamptonshire and surrounding areas.